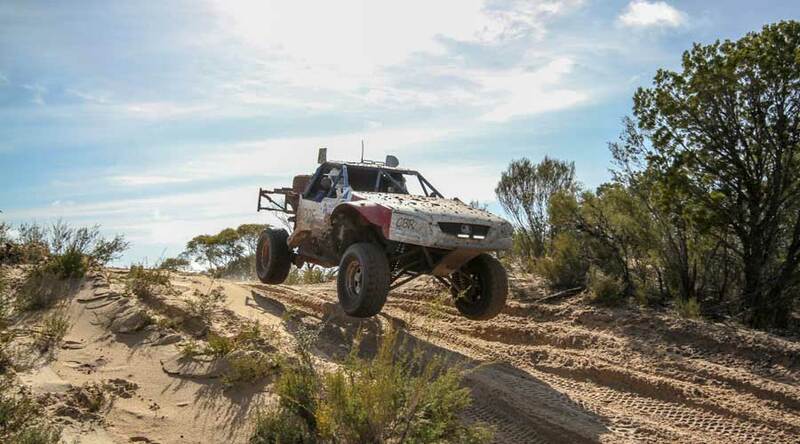 The 2018 CAMS Victorian Off Road Racing Championship has been run and won. Teams arrived at the Hindmarsh Shire Rainbow Desert Enduro to be greeted by a wet track, first order of the weekend was prologue. At the end of Prologue it was the point’s leader Eric Schlifelner in his extremely quick Saber Pro Lite in 6th Overall and leading the Victorian division, 3 spots back in 9th was Alan Dixon in his Pro Lite. David Davis rounded out the top 3 posting a time quick enough to start the race in 14th. The remaining 3 contenders Nigel Pendlebury in his Super 1650 starting out of 29th, Craig Button in his Class 4 starting out of 34th and rounding out the contenders was Ken Holt in 36th Place. With a Top 10 shootout both Eric and Alan had another chance to better their starting positons, however they couldn’t improve and were to start the race from their original positons. Saturday afternoon saw competitors hit the 73km track for the first heat of 2 laps, with competitors starting side by side it was Eric who got the jump, however around 5km’s from the start line was a road jump. This jump was to be the end of Eric’s race after hitting the jump hard, landing and damaging a wheel and being unable to continue. This allowed Alan Dixon to take over the lead for the title and that’s how it stayed for the remainder of the heat with him crossing the line in 11th Outright and leading Victorian, Ken Holt drove his way into contention after passing many on course to come home in 15th Outright and leading Super 1650, ever consistent Craig Button crossed the line 31st Outright boosting his chances of taking the championship. 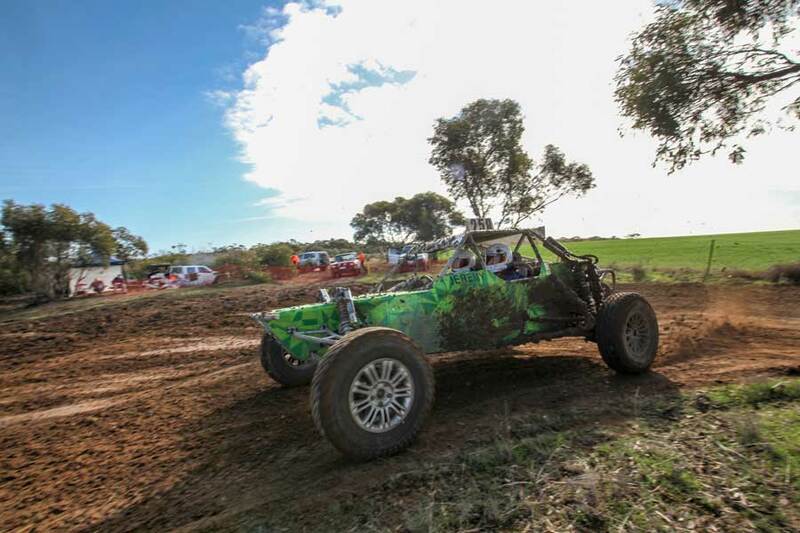 The only other Victorian contender to finish was Nigel Pendlebury in 32nd place, this however was as far as Nigel would go electing to put the buggy back on the trailer and retire due to 2nd gear issues. David Davis unfortunately retired at the end of lap 1 with tyre issues. Sunday Morning and competitors were greeted by sunshine finally for the weekend and now a 3 horse race. 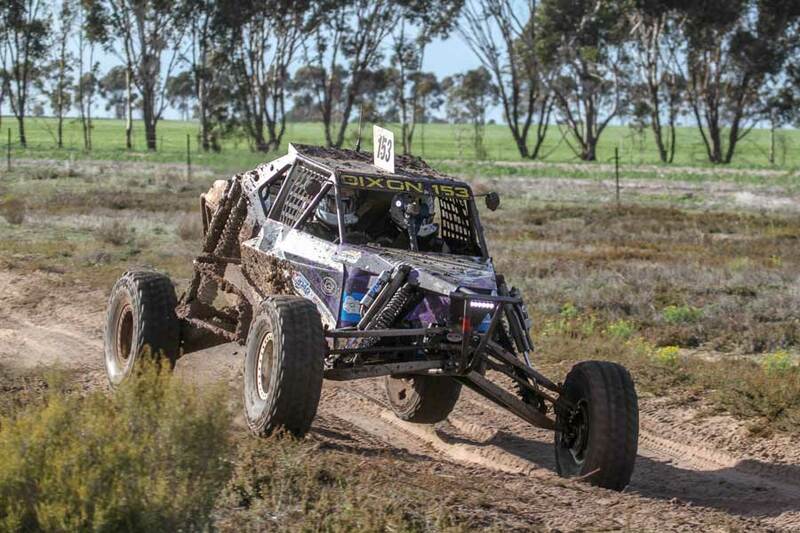 Alan Dixon lead the contenders into the desert closely followed by Ken Holt and Craig Button not far behind him, for Alan Dixon he also had the Australian Pro Lite title in his grasp only needing to finish to take the win. With this in mind Alan and Johnny O Connor drove conservatively- well as conservative as he can be, having a trouble free run to cross the finish line in a total time of 3;47 minutes to claim the Victorian side of the race, in 2nd was the Super 1650 of Ken Holt/Jeremey Holt with a total time of 4;45 minutes. Round out the podium was Craig and Adam Button in their Class 4 with a time of 5;56. This now created an interesting situation with all 3 drivers being equal on 140 points after the 2 races, there could only be one winner however and after count back it was Alan Dixon taking the 2018 CAMS Victorian Off Road Racing Championship, in second was Ken Holt and third place was Craig Button. In the Navigators Championship, it was the exact same result with the Top 3 tied on 170 points again after count back it was Johnny O Connor claiming the title of Top Navigator followed by Adam Button and Jeremy Holt rounding out the three.